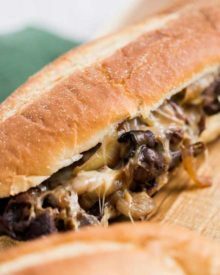 Making a great cheesesteak at home is easier than you think, and so much better than overpaying at a restaurant! 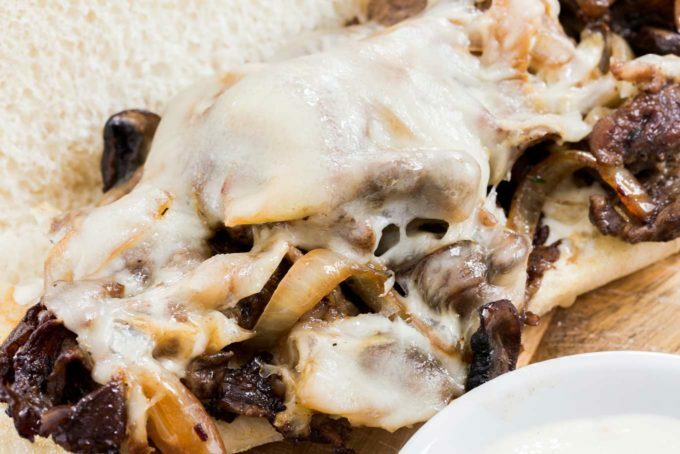 Juicy ribeye steak, caramelized onions and mushrooms, plenty of gooey cheese and a horseradish sauce that will make your mouth water! 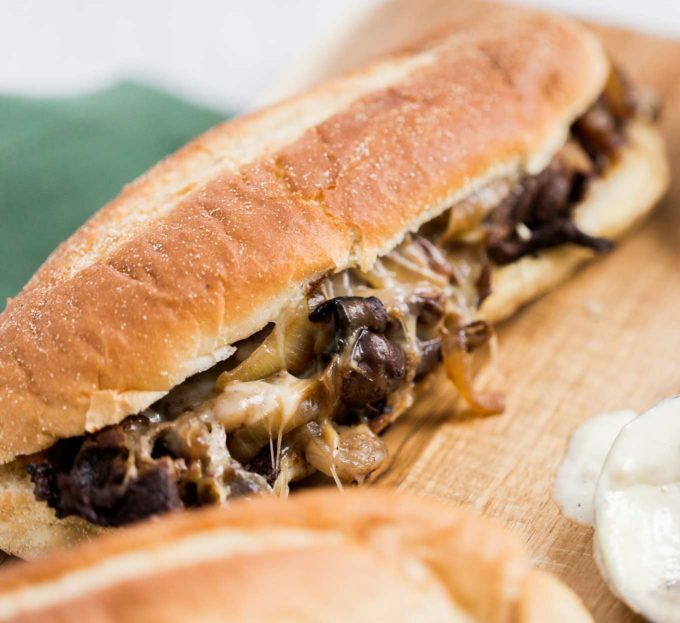 Not much beats a juicy and gooey cheesesteak, and you’d be surprised how easy it is to make at home! 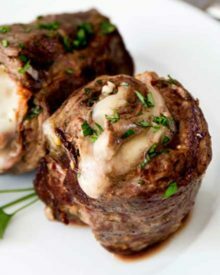 All you need is the right cut of meat, and some fun techniques… plus a delicious horseradish sauce of course! 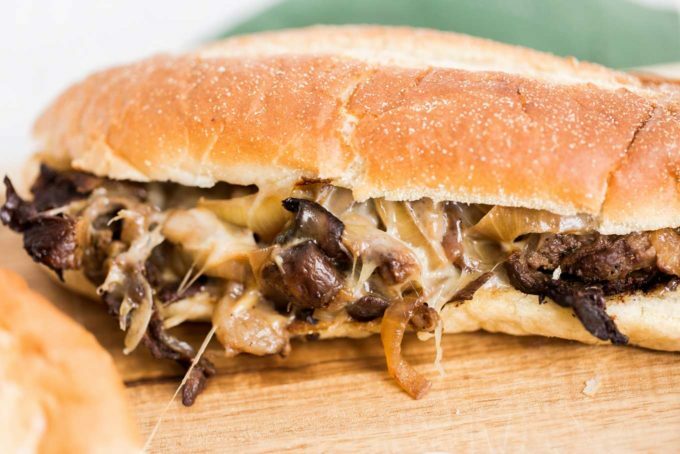 One of my all time favorite sandwiches is a cheesesteak… those juicy strips of steak, caramelized onions and mushrooms, gooey cheese…. *drool*!!! I’d tried to make these before, years ago… but it wasn’t quite right. 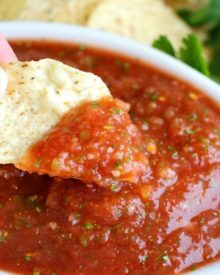 After tweaking a recipe I found over at The Little Kitchen, it’s absolutely perfect for us! The holy grail of a cheesesteak is, of course, the steak. The kind that I’ve found to be the best is a boneless ribeye steak. The marbelization leads to fantastic flavor and juiciness. They can be a bit pricey, but the good news here is that you don’t need a huge steak to give you 4 hoagies worth. The steaks I usually use are around 3/4 – 1 lb, and it makes 4 hoagies plus some leftovers. My husband prefers no green peppers in his cheesesteaks, so I use cremini mushrooms (white button mushrooms would be fine), a yellow onion and then tossed some banana peppers on his before making them into hoagies. But if you like peppers, by all means, toss em in! Try some sweet and hot peppers together… it’s amazing! Basically you start by caramelizing your mushrooms and onions in some butter in a large skillet. Try not to salt the mushrooms until after they’ve browned a little. While your mushrooms and onions are cooking, mix together the horseradish sauce. 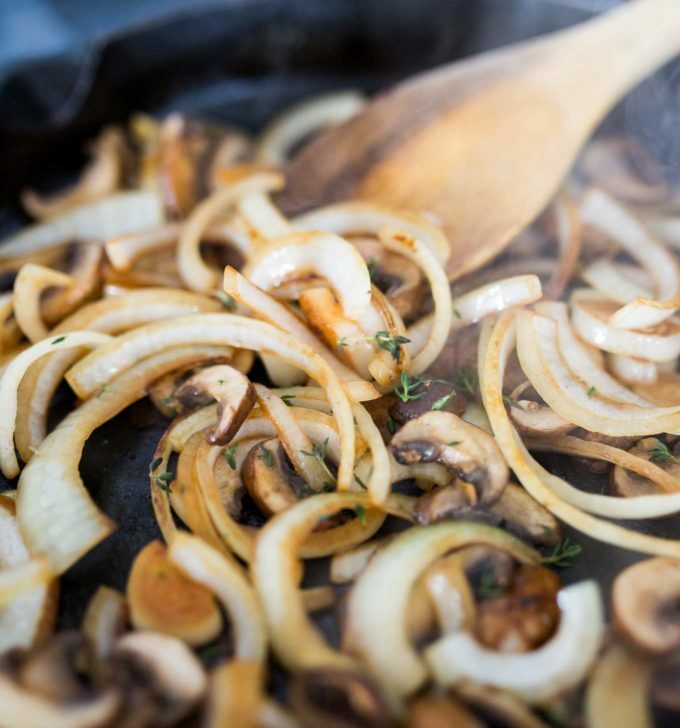 Once your mushrooms and onions have caramelized to your desired level, slide them off onto a plate. Add more butter to the same pan, and add your steak. The steak cooks quickly, as you want it caramelized, but not so cooked that it’s tough. Once your steak is mostly cooked, add your mushrooms and onions back into the pan and cook a minute or so more. Now divide your steak mixture in half and spread to the opposite sides of the pan. 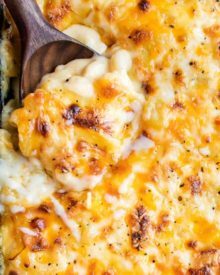 Top with a few slices of cheese, and allow it to melt for a couple of minutes. 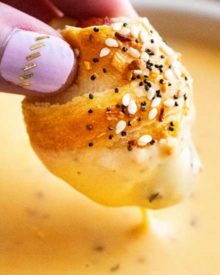 Use some tongs to mix the cheese into the meat mixture, slather your hoagie buns with the horseradish sauce or plain mayo, fill with meat mixture. Place on squares of aluminum foil, and wrap hoagies up tightly in the foil. Don’t be afraid to squish the hoagie… roll it up very tightly, it’ll give it a beat up sort of look and allow for a juicy hoagie. Place rolled hoagies in the oven for the flavors to meld together for 10-15 minutes. What you end up with is a perfectly delicious and flavorful cheesesteak!! If you’re running short on time, you can skip the oven step, and just eat the cheesesteak right after adding the meat mixture to the hoagie roll. It will still taste delicious, I promise you! But if you do have an extra 10 minutes to spare, (I know, extra time… what’s that?! ), maybe on a weekend, give the oven step a try. It really makes the cheesesteaks taste extra special! 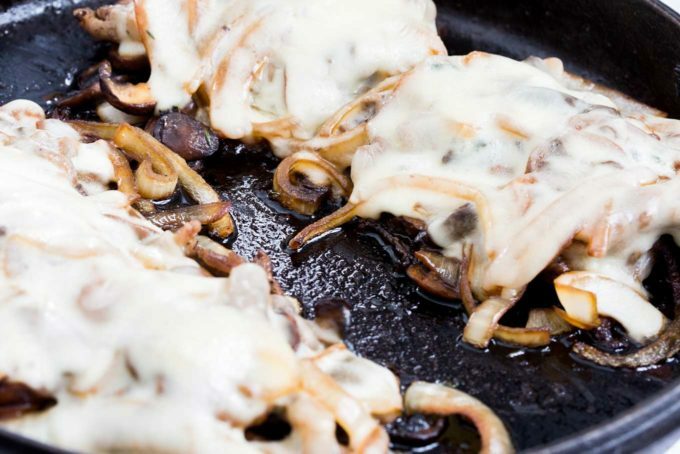 Cast Iron Skillet – the BEST way to get a fantastic sear on the steak and caramelization on the onion and mushrooms. Stainless Tongs – one of the best set of tongs I’ve ever owned… so versatile! Foil squares – no cutting or tearing needed! 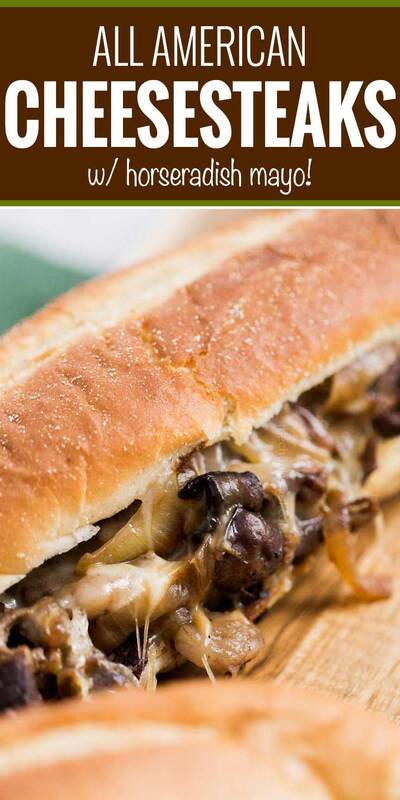 Making a great cheesesteak at home is easier than you think, and so much better than overpaying at a restaurant! 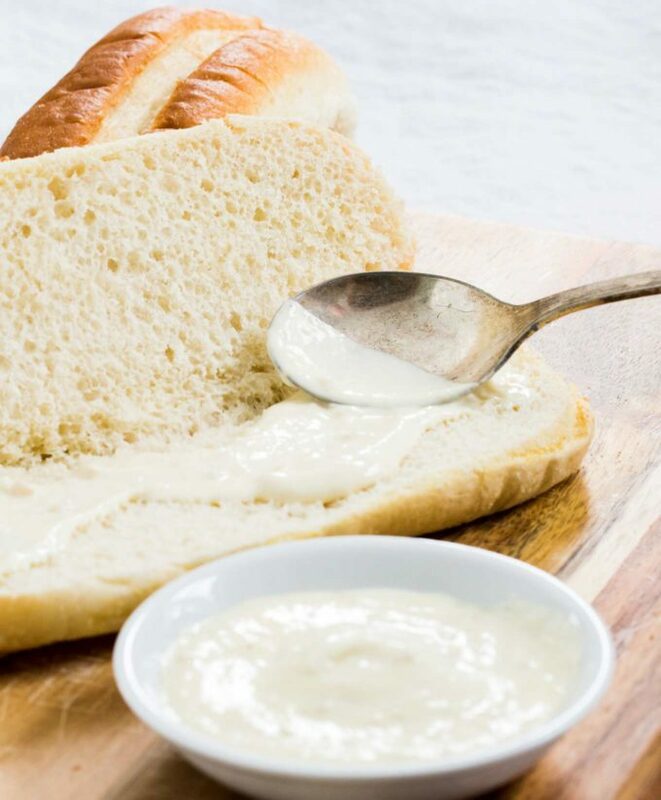 Combine all horseradish sauce ingredients in a small bowl and set aside in the refrigerator (covered). Tear off 4 square sheets of foil and set aside with 4 hoagie rolls. Preheat oven to 250 degrees. Add 1 1/2 Tbsp butter to large skillet over medium high heat. Add mushrooms and onions, season with dried thyme and saute and caramelize for 5-8 minutes. Season with salt and pepper. Remove to plate. Add 1 1/2 Tbsp butter to same skillet, set heat to medium and add steak, seasoning with salt and pepper, cooking for 2-4 minutes. Add mushrooms and onions back into pan and cook for 1-2 minutes. 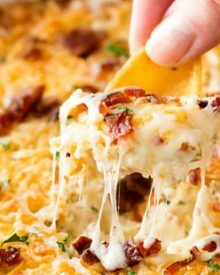 Divide meat mixture in half and top with slices of cheese. Cook for 1-2 minutes. Mix up the cheese and meat mixture and add to hoagie rolls. Roll tightly in foil squares and place in oven for 10-15 minutes. Green bell pepper, sweet/hot peppers, and banana peppers are all great additions to this cheesesteak recipe. Replace provolone with Cheez-Whiz if you'd like. 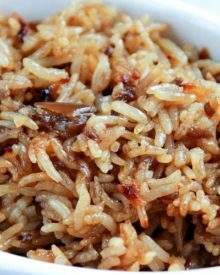 I have made these several times now, for my family friends and my husband cowokers! Everyone goes crazy for them, saying they are the best philly cheese steak they have ever had!! Thanks so much for the recipe!! all the pictures made me want to start eating. I just need the recipes and I can get started. 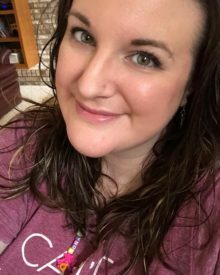 I would love to get more recipes from you. These look incredible! I always had it in my head that cheesesteaks were complicated so I can’t believe how simple they really are! YUM!! This sounds fantastic! Can’t wait to try it!! This looks really tasty! I am sure my family will love this! I love cheesesteak so much! My mouth is watering! I am so excited about this sandwich. That horseradish sauce is calling my name! Those look CRAZY good! I wish my brain had thought of that! Glad yours did! 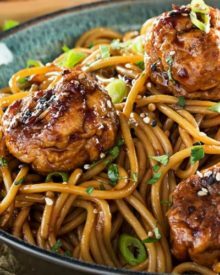 This looks so easy and full of flavor! No need to go out when you can make them at home! This is one amazing looking sandwich, love the addition of the horseradish sauce! This was my was type of cheesesteak. I prefer white cheese and the horseradish sauce is to die for. Thanks! Thanks to Amanda, my husband is now contemplating cheating on me – with this sandwich! I made this for us for lunch and my husband came home and had leftovers for dinner. The look of wonder and shear joy on his face was hilarious. I don’t know whether it’s the beef itself or the horseradish aoli, or the combination, but this was SO GOOD!!! And he made sure I knew it! YUM!! One of my favorite’s, not the healthiest but man what a way to go!!! Love it!! This looks so warm and flavorful. I am sure that it would fill me up deliciously! I love cheesestakes. The cheesesteaks look awesome. Forget Penn Station.